Eagle’s 4 Gallon, Manual-Closing, Bench Top Safety Cabinet is constructed of 18-gauge steel. The sides, top, bottom, and doors are double-walled with a 1 1/2″ air space between walls. Includes two vents, each have 2″ threaded fittings and a fire baffle and cap. 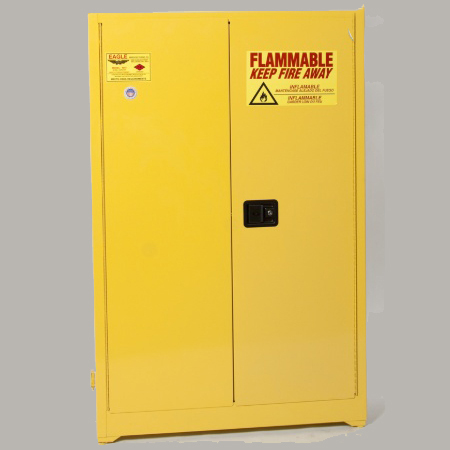 Standard Flammable Liquid Safety Cabinets come in yellow high gloss powder finish with red warning, plus grounding attachment, 3-point latch system, and 2″ raised, leakproof door sill. Each shelf is adjustable, supported by 4 brackets, and can support 350 pounds. 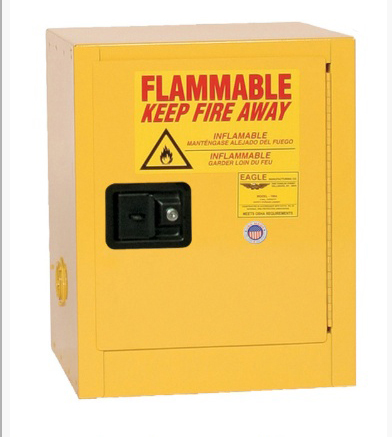 (All Eagle metal cabinets meet NFPA Code 30 and OSHA requirements). 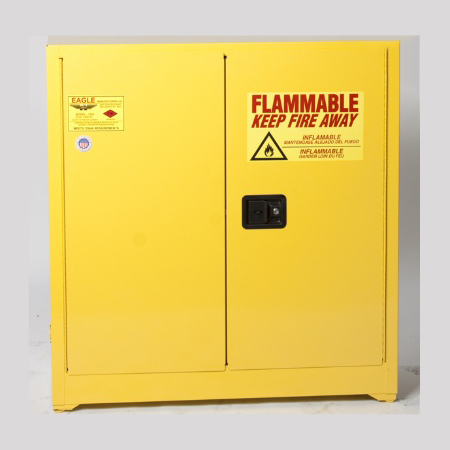 Eagle Flammable Liquid Safety Cabinet Model 1932 is a Standard 30 gallon safety cabinet with 1 shelf. Constructed of 18-gauge steel, sides, top, bottom, and doors are double-walled with a 1 1/2″ air space between walls. Both vents, with 2″ threaded fittings, have fire baffle and cap. Cabinets come in yellow high gloss powder finish with warning labels, plus grounding attachment, 3-point key lock, and 2″ raised, leak proof door sill. Each shelf is adjustable, supported by 4 brackets, and can support 350 pounds. Cabinets meet NFPA Code 30 and OSHA requirements and are FM approved. Eagle Flammable Liquid Safety Cabinet Model 1947 is a Standard 45 gallon manual close safety cabinet with 2 shelves. Constructed of 18-gauge steel, sides, top, bottom, and doors are double-walled with a 1 1/2″ air space between walls. Both vents, with 2″ threaded fittings, have fire baffle and cap. Cabinets come in yellow high gloss powder finish with warning lables, plus grounding attachment, 3-point key lock, and 2″ raised, leakproof door sill. Each shelf is adjustable and can support 350 pounds. Cabinets meet NFPA Code 30 and OSHA requirements and are FM approved. 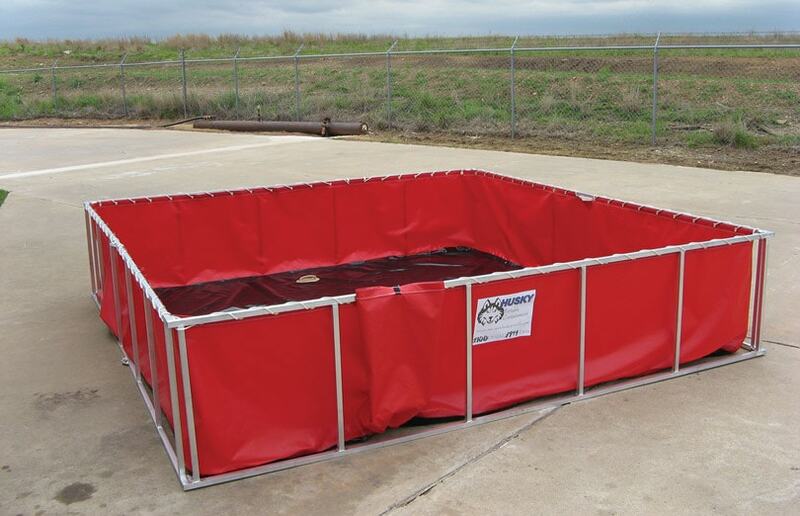 Husky® Port-a-Tank Liners are designed so there are no bulky corners or sagging liner. Our manufacturing process (patent pending) allows us to use one continuous piece of material for the side panel, which is then welded to our Husky®-Duty Floor Material. We also install solid brass grommets in a tight pattern, alleviating any liner drooping at the frame. These features create the best fitting, most durable liner available. Our vinyl liners come in 22 oz., 22 oz. sides with a 30 oz. floor, or 30 oz. 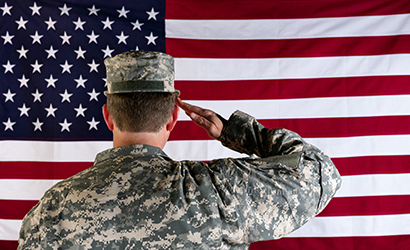 Vinyl liners are available in a variety of colors and in NSF 61 approved 30 oz. 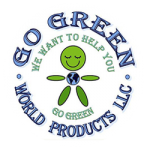 potable material or chemical and fuel resistant materials that are great for oil spill clean-up or petroleum storage. Liners are also available in Husky®-Tough EXLON® which has superior UV resistance, heat resistance, abrasion, puncture resistance and excellent cold cracking qualities, making it the best folding tank liner material on the market. For more information on the containment products and cabinets we sell give us a call at 866-995-4442.